(Avis Burgeson Christiansen) Remember that song? 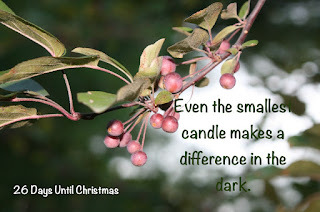 Even the smallest light makes a difference in a dark world. She lay in her bed shivering. "I can't get warm," she said. I turned up the heater as far as it would go and covered her with a third blanket. The room was stifling hot, but she was shaking with cold. I went to the desk to ask someone to get her yet another blanket. As concerned as I was about her physical coldness, I was more worried about her spiritual well-being. But at that moment, her mind was too engaged by her physical needs to allow room for anything else. This morning, as I prayed for her, I remembered again the promises of Scripture that are associated with the coming of Christ. 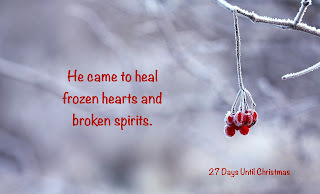 He came to heal the frozen heart and the broken spirit. The last book of the Old Testament tells us: "But for you who revere my name, the sun of righteousness will rise with healing in his wings. And you will go out and leap like calves released from the stall" (Malachi 4:2). Yesterday, during our worship service, we lit the first candle in the Advent Wealth. It represents the prophets who announced the coming of the Messiah long before the event actually happened. As I was finishing up my reading of the Book of Romans this morning, I came across this verse written by Paul: "The root of Jesse will come, even he who arises to rule the Gentiles; in him will the Gentiles hope" (Romans 15:12). It's Paul's paraphrase of Isaiah 11:1 which says: "A shoot will come up from the stump of Jesse; from his roots a Branch will bear fruit. The Spirit of the Lord will rest on him—the Spirit of wisdom and of understanding, the Spirit of counsel and of power, the Spirit of knowledge and the fear of the Lord—and he will delight in the fear of the Lord" (11:1-3a). Long before the beginning of time a just, yet loving God designed a plan to rescue a creation not yet made. It involved a baby. Odd to hang the fate of a world on one helpless child. But God did. This wasn't any ordinary baby, though any parent will tell you, sometimes ad nauseum, that their child is not ordinary! But this one was truly unique. He was God wrapped in skin. 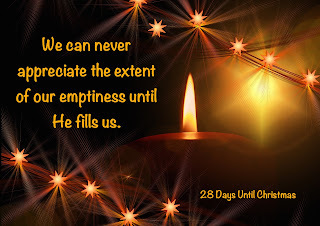 He was Emmanuel, God with us (Isaiah 7:14). God, the Father, knew that you and I would sin, and by those offenses against Him cause an impossibly wide breach between us. He knew that you and I might try to bridge that gap—maybe. We might try to be good. We might try to be religious. We might try to be generous. We might try any number of things. But He knew we'd never reach Him, never heal the breach, on our own. When I was a kid and Christmas morning rolled around, there was a tradition that had to be observed. Every present that was received and opened had to be documented. What it was and who gave it was recorded. 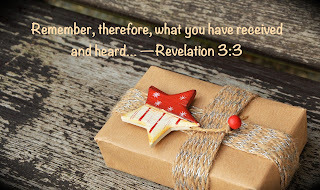 Immediately after Christmas thank you notes were written to the gift-givers and put into the mail. 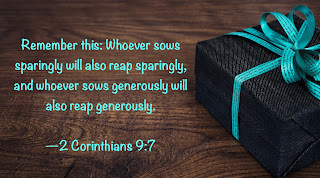 To neglect to acknowledge a gift was almost an unpardonable sin. 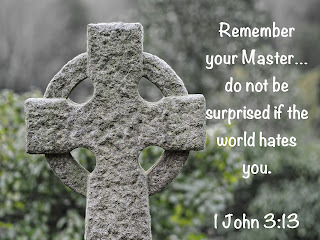 The apostle John, exiled to the Isle of Patmos, received some messages from the Lord that were to be delivered to some of the churches in the region. One of those letters was to go to the church at Sardis. Of course, the principles outlined in these letters to the seven churches are also meant as messages to the church today—nothing much has changed given that human nature doesn't change no matter what century we are looking at. Sardis appeared to be a vibrant church (Revelation 3:1). God knew better. 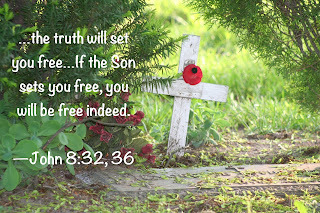 In the message, John was to write: "...but you are dead." For many of us, the parable of the sower is well-known. 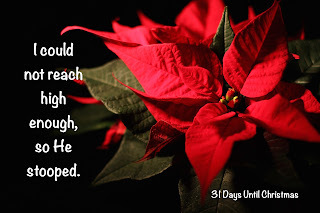 Matthew 13 is one of the passages that describes the seed that was sown. The first fell on hard ground and was snatched away. The last fell on prepared ground and produced a harvest. It is the seeds in the middle that often cause the most debate. Some seed fell on rocky ground. There wasn't much soil and the seed grew for a short while and then was killed by the strength of the sun because it didn't have strong roots buried deeply enough to draw moisture from the ground. Other seed fell among thorns and was eventually choked. 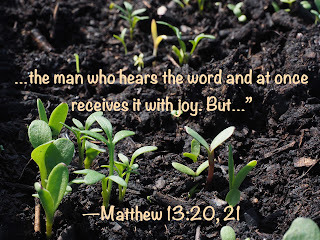 In explaining the parable to His disciples, Jesus said that the seed that fell on rocky ground represented the person "...who hears the word and at once receives it with joy. But since he has no root, he lasts only a short time. When trouble or persecution comes because of the word, he quickly falls away" (13:20, 21). 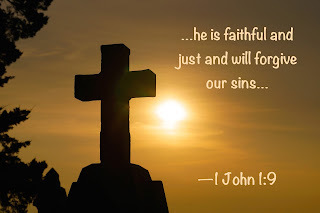 The writer to the Hebrews quotes Jeremiah 31:31-34 when he writes: "For I will forgive their wickedness and will remember their sins no more" (Hebrews 8:12). This is followed up with, again quoting Jeremiah, "'Their sins and lawless acts I will remember no more.' And where these have been forgiven, there is no longer any sacrifice for sin" (10:17, 18). In both cases these wonderful verses are preceded by a promise from God to "...put my laws in their hearts, and...write them in their minds" (10:16 and vice-versa in 8:10). These are changed people, renewed in heart and mind, and forgiven. For better or for worse, most people appreciate being recognized for their contribution. While some don't like the limelight of a public acknowledgement, a pat on the back privately goes a long way to encourage them to "keep on keeping on." That's why I like what Paul says in 1 Thessalonians 1:2, 3 when he writes: "We always thank God for all of you, mentioning you in our prayers. 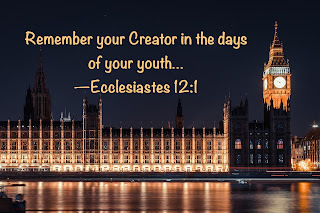 We continually remember before our God and Father your work produced by faith, your labor prompted by love, and your endurance inspired by hope in the our Lord Jesus Christ." He thanked God for them, but he did not neglect to tell them how grateful he was for their labours and for their example. Considering how much traveling the apostle Paul did, and how many people he must have met on those travels, my guess is that his prayer list was a lengthy one. I would also guess that when he said that he was praying for someone, he really was praying for that person. I wonder where he found the time? It's convenient for us to say that Paul had more time that we do—after all, he lived in the age before all our time-saving devices. Wait a minute, we should actually have MORE time at our disposal than Paul, right? But that's a discussion for another moment—when I have time! Paul was a busy man. I suspect one of the reasons the Lord arranged for Paul to spend some time in prison was so that he could get some letters written, besides giving him the opportunity to witness to jailers, soldiers, prisoners, and high-ranking authorities to whom he was exposed under those circumstances. 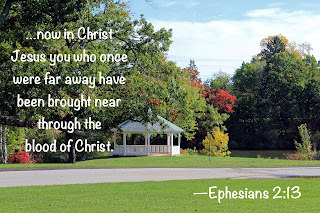 In any case, Paul remembered others. And he remembered others specifically in his prayers. Canadian Thanksgiving has past, but even on this side of the border we Canadians are well aware that our cousins to the south will soon be celebrating their Thanksgiving. Today, though thankfulness is not always the emphasis during these particular celebrations, the original date marked a time to remember the providence of God, particularly among those looking for freedom to practice their beliefs without persecution. Several times a year my father would come home from work, eat his supper, don his one-and-only suit and leave the house for an hour or so. This was unusual because my father generally only wore a suit on Sundays and to weddings and funerals. When I was a kid I remember asking him once where he was going. He smiled his conspiratorial smile and said, "To see my girlfriend." It was sometime later that I discovered that his "girlfriend" was a nurse and my father a regular blood donor! He gave blood until they finally told him that they couldn't allow him to give any more. Why he needed his Sunday suit to give blood was something I never really figured out, though I suppose he thought that what he was doing was important enough to merit his best foot forward. Dad didn't have much of this world's treasure, but what he could give he gave freely, consistently and happily. You see, generosity isn't just about money. Before that recent, fateful Tuesday in the United States, there were all kinds of pleas made for people to pray. Since that day, more calls have gone out for people to pray. Whatever side of the political landscape one falls on, prayer seems to be the fall-back position for many. Certainly prayer is the right thing to do before the ballot is cast (Acts 1:23-26). And the Scriptures remind us to pray for those in authority over us (1 Timothy 2:2) after the ballots have been cast and the decision made. Paul was a man of prayer. 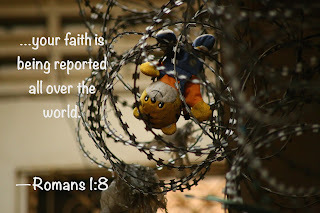 In his letter to the believers in Rome he wrote: "First, I thank my God through Jesus Christ for all of you, because your faith is being reported all over the world. God, who, I serve with my whole heart in preaching the gospel of his Son, is my witness how constantly I remember you in my prayers at all times; and I pray that now at last by God's will the way may be opened for me to come to you" (Romans 1:8-10). We live in a world where absolute truth that governs all men equally is considered an impossibility. What is absolute truth for me, might not be absolute truth for you. And in a world where personal freedoms and political correctness are almost a sacred right, my absolutes cannot be allowed to infringe on yours, and vice versa. We might expect that from a world that doesn't believe, but are we to expect it from the world that claims to believe? People came to Jesus looking to sign up as His disciples. There were times when His fame was such that it would have been considered quite prestigious to be numbered among the elite in Jesus' retinue. Crowds followed Him, hanging on every word, looking for another miracle. Some may have believed the rumour that He would be God's instrument for raising an army and chasing out the Roman overlords. Three such "employment interviews" are recorded in Luke 9:57-62. None of the three understood that the benefits to the position of disciple did not include comfort, safety, prestige, or advancement. What's in a name? I have four names. Lynda Lee Schultz Bloedow. The last, my mother's maiden name, never really made much difference until I lived in Colombia and Venezuela where it was vital on official documents. The trouble was that its pronunciation sounds like a popular swear word in Spanish! Not good! Schultz was basically impossible to pronounce at all. Lee was easy and Lynda or Linda is a Spanish word, but not one usually used as a name so I got some odd looks when I introduced myself. Some people thought I was vain since "linda" means "pretty" or "lovely." Names mean something. And no one is more jealous of His Name than God. His reputation hangs on what people think when they hear His Name. And what people think when they think "God" depends on what the people who claim to be His followers are like. They are His representatives, His ambassadors (2 Corinthians 5:20). Yesterday I went downtown to do an errand. While there I wandered down a street I was not too familiar with and discovered a tiny shop run by an old world clock maker. I have a mantle clock which belonged to my parents. It hasn't worked for years—a spring had sprung on the mechanism that makes the Westminster Chimes work. I had taken it in to a local watch repair place in the town I was then living. The gentleman there told me it couldn't be fixed—at least not by him or anyone else in town—so I allowed him to take out the mechanism and install a battery-powered unit. But I kept the innards of the original clock. They say that there are many things we take for granted until we no longer have them. This morning a friend was being thankful for being able to go to the grocery store and get everything on her list without any difficulty. She grew up in Venezuela where shortages have been common and acute for many years. It reminded me of how long it took me to stop worrying about not being able to find toilet paper even after I returned to Canada from service in Caracas. We seldom think about toilet paper until there isn't any! 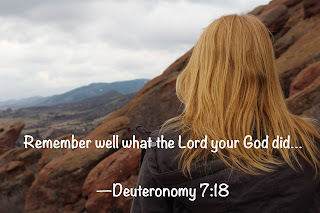 This morning's "remember" passage comes from Deuteronomy 8:17, 18. Moses reminds Israel of this: "You may say to yourself, 'My power and the strength of my hands have produced this wealth for me.' 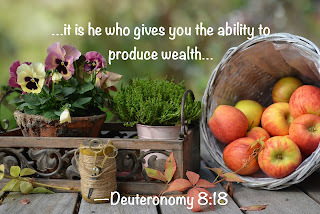 But remember the Lord your God, for it is he who gives you the ability to produce wealth, and so confirms his covenant, which he swore to your forefathers, as it is today." I still carry it around. "It" is a piece of belt off some kind of farm machinery. My parents used it as the last resort in disciplining us as children. They only used it on our derrières, and very rarely at that. I remember how it stung. It probably seems odd that I should still be carrying it around after all these years. But it reminds me of the statement from Revelation 3:19: "Those whom I love I rebuke and discipline. So be earnest and repent." 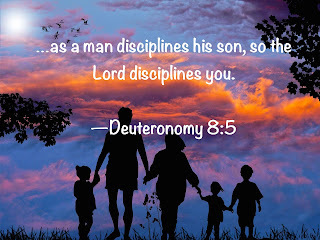 In fact, the Scriptures mention God's discipline in several places., particularly in the book of Hebrews. 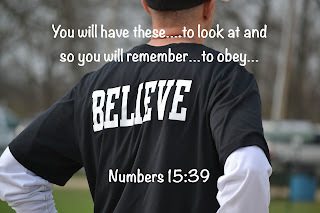 Hebrews 12:5: "And have you completely forgotten this word of encouragement that addresses you as a father addresses his son? It says, 'My son, do not make light of the Lord's discipline, and do not lose heart when he rebukes you...'"
Memories are often painful. For many people it is simpler and less traumatizing to look toward the unsullied future rather than thinking about what has been in the past. When Moses addressed the people of Israel on the eve of their entrance into the land of Canaan, he spent a great deal of time reviewing their past history. He also encouraged them to remember that history. Digging up the decomposing flesh of our past sin, or that of those sins committed against us, is not the motivation behind remembering the past. Listen to how Moses explains God's reasoning. Back a few years ago WWJD wristbands were in vogue (that's "What Would Jesus Do?" for those of you who don't remember!). The idea was that the wearer would be reminded to ask him or herself that question when faced with any important decision that needed making. Baseballs caps, T-shirts, jewelry, coffee cups and an assortment of other items emblazoned with Christian sayings are all popular with Christians who want to display a message to others, or simply remind themselves of spiritual truths (sometimes spiritual, not always true) in a more public manner. This idea of carrying around your Christianity is not a new one. Our speaker last Sunday focused his message on Mark 2:23-3:6 and the Lord's confrontation with the Pharisees over what was permissible on the Sabbath. The Pharisees criticized Jesus and His disciples for "harvesting" a few heads of grain to satisfy their hunger. Harvesting was forbidden on the Sabbath according to the traditions that the religious authorities had added to the law. 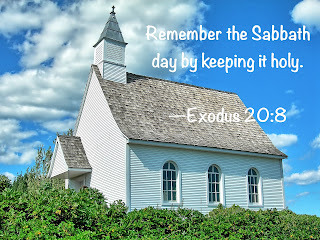 A little later Jesus challenged His detractors by healing a man on the Sabbath and then posing this question: "Which is lawful on the Sabbath: to do good or to do evil, to save life or to kill?" (Mark 3:4). The Pharisees wouldn't have lifted a hand to save a drowning man on the Sabbath.